Release Date of Ranbir & Jacqueline starrer 'Roy' Postponed to 2015 - Release date of Movie 'Roy' starring Ranbir Kapoor, Jacqueline Fernandez and Arjun Rampal have been postponed to February 13th, 2015 from June 20th, 2014. 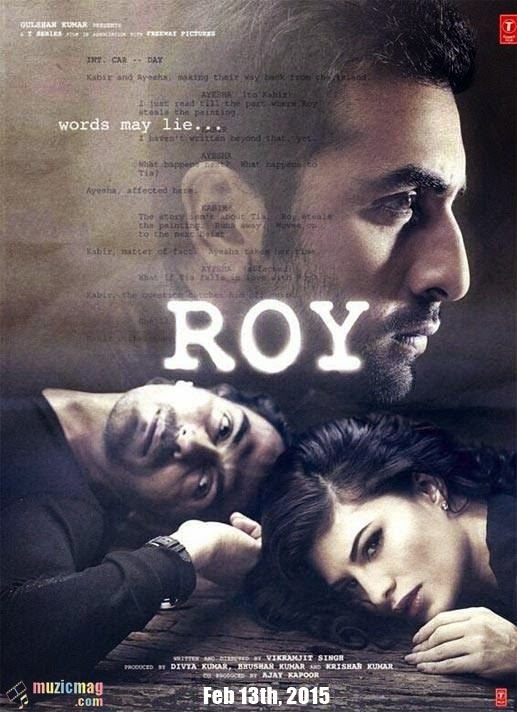 Release date of Movie 'Roy' starring Ranbir Kapoor, Jacqueline Fernandez and Arjun Rampal have been postponed to February 13th, 2015 from June 20th, 2014. Reason behind this postponed schedule is Ranbir Kapoor, He is busy in the shooting of his Upcoming film Jagga Jasoos in South Africa. Roy is an upcoming Romantic thriller Bollywood movie pairing Jacqueline Fernandez opposite Ranbir Kapoor. The film which also features Arjun Rampal in key role is being directed by debutant director Vikramjit Singh and Produced by T-Series. The first look of the film was unveiled last year and the film was slated to release on June 20th, 2014, that now have been postponed to Feb 13th, next year.